Wanna Be Mormon? Here’s How! So let’s say you’ve read the Book of Mormon. You’ve prayed to God for guidance as to whether this book really is what it claims to be: a sacred volume of scripture, along with the Bible, that contains the Gospel of Jesus Christ. You receive inspiration from God that the things you’ve read are true. Or, maybe you’ve been searching for the true Church. You recognize that in the New Testament, Jesus Christ established His Church. It had apostles and prophets guiding the faithful. You see that continuous revelation, the potential to add new scriptures, temple worship, etc were all important to the New Testament Church. You find out about the LDS belief in the Restoration of Christ’s Church, it makes sense to you (“yeah, where did the apostolic office go?”), you pray about it to your Father in Heaven, and you receive an answer that confirms the truth of the Restoration. Or, maybe you take many of the various other paths people take on their journey to The Church of Jesus Christ of Latter-day Saints. But what do you do next? Many seem to be somewhat confused about how one becomes a Latter-day Saint (or “Mormon”), so hopefully this will help you. I’ll also share some of my own conversion experiences. The first thing you must do is get in contact with the local missionaries of the LDS Church. There are a number of ways you can do this. One way is to simply go to this website on Mormon.org, put in your contact information, and the missionaries will give you a call in a few days and see when and where is convenient to meet. If you simply can’t wait for that call, and are eager to receive the blessings available in Christ’s Church as soon as possible, you can just show up at your local LDS congregation for Sunday worship. The missionaries will be there, and you can just go up to them and tell them you’re ready to be a Mormon! I’m sure they’d be thrilled to talk to you. You can find your local congregations by putting in your address at this LDS Maps website. Either way, you must meet with the missionaries before you become a member of the Church (don’t worry, if you can’t meet them in your home, they can meet anywhere else you feel comfortable, such as a local cafe, park, or even the local church building). This is important because the missionaries will go over a series of lessons on various topics to ensure that you have a basic foundation in the Gospel of Jesus Christ before you are baptized. They will teach you topics such as The Message of the Restoration of the Gospel of Jesus Christ, The Plan of Salvation, The Gospel of Jesus Christ, The Commandments, and Laws and Ordinances. In addition, they will ask you to read various passages from the Book of Mormon and the Bible. In addition to this study of the Gospel, the missionaries will ask you to make various commitments as you progress in your journey. For example, they may ask you to read a specific passage from the Book of Mormon by your next meeting. They may ask you to pray to God about something, such as whether Joseph Smith really was a prophet of God. They will ask you to commit to coming to church on Sunday. As well, as I’m sure you know, there are various lifestyle changes that you may have to make in your own life as you become a Latter-day Saint, such as giving up coffee, tea, alcohol, etc as part of the Word of Wisdom, or beginning to live the Law of Chastity. The missionaries will ask you if you will now begin to follow those commandments from the Lord. They will ask you to repent of your sins. They will also share with you many blessings that come from making these commitments. My experience: As you may know from reading this blog, I researched the LDS Church for many years (off and on) on my own prior to contacting the missionaries. After awhile, I knew that it was right and that I had to follow the inspiration from God I had received and join the Church. I went on Mormon.org and filled out the form there for the missionaries. After a day or two, I became impatient, and filled it out again! Finally, the missionaries called me while I was in class. I called them back, and set up a time to meet them at the local church building. At our first meeting, they asked me how I found out about the Church, and I shared how much I had been reading and pondering. They were pretty surprised at how much I knew, and that I had been reading the Book of Mormon on my own. Because of this, at our first meeting, they asked me if I wanted to be baptized. The missionaries will ask an “investigator” to be baptized when they feel that you know what it means to be baptized, and when you’re prepared. I was taken aback by the invitation, and although I knew that’s what I wanted, I told them that I’d get back to them after some thought and prayer. They also invited me to come to church on the upcoming Sunday, and also to keep reading the Book of Mormon (normally, as mentioned, they may assign a specific passage to read). Our meetings were a few times a week (about an hour each time), and lasted for two weeks. There is no set time limit for how long you’ll meet with the missionaries prior to being baptized. Some may meet with them for a week or two, others may meet for months to years. Your meeting with the missionaries will begin and close with a prayer. You can talk to them about anything you desire, and they will also go over various lessons. Sometimes a “member” (a Mormon from the local congregation) may sit in on the meeting to offer their thoughts, feelings, and experiences. If you haven’t already, the missionaries will ask you to attend church with them on Sunday. There, you’ll get to see and meet Mormons from your local community, and join them in worshipping God. Mormons go to church on Sundays for three hours. Yes, three hours. Don’t worry, if you can’t stay for all of it, that’s okay. Hopefully you’ll be able to attend at least Sacrament Meeting. Sacrament Meeting is the basic worship service for Mormons. It is led by a “Bishop”, who is the leader of the local LDS congregation. During Sacrament Meeting, LDS pray, sing hymns, partake of “the Sacrament” (blessed bread and water), and listen to sermons, called “talks”, by members of the congregation. This lasts a little over an hour. You won’t have to do anything (there is no standing, sitting, and kneeling like in various liturgical churches, though you may stand for one of the hymns). During the Sacrament, the bread and water will be passed within the congregation (you don’t go up to the front for it). When it comes to you, simply take the tray, hold it so the person next to you can take, and give them the tray. The Sacrament is meant for baptized members of the Church, though it’s not a problem if you partake. After Sacrament Meeting, there is Sunday School. In Sunday School, there are different classes. The main class for adults in the Gospel Doctrine class. In this class, Mormons study one of their volumes of scripture. The class is taught by someone from the congregation called to be a teacher. This year (2014), Mormons are studying the Old Testament. Another class available is the Gospel Principles class, which is the one the missionaries will most likely invite you to attend. This class covers basic topics central to Mormonism, such as the Atonement, Our Heavenly Family, Jesus Christ, Repentance, Gifts of the Spirit, Service,the Sabbath, Temples, Prophets, etc. After Sunday School, men and women will separate into different classes. Men go to various Priesthood classes, while adult women attend Relief Society. There, we receive more education in the Gospel, as well as guidance for our lives as sons and daughters of God. After that, 3 hours from when you first stepped into the building, it’s over! Sometimes, there will be a “linger longer”, where the congregation will have food, BBQ, desserts, or any other treats. Feel free to stay for that if you desire. Don’t worry, your missionaries will stay with you and help you find where you need to go, so you won’t be there alone. Also, chances are the other members and leaders will recognize that you’re new, and will come up to you to help you with anything you need. My Experience: I was a little nervous going to church for the first time. I didn’t know what to expect. Although I knew two Mormons from college, I still wasn’t sure if they would be “weird”. So, when I got to the church, I was pleasantly surprised to see that Mormons were “normal”! This was a Young Single Adult (YSA) congregation, so everyone was around my age (18-30). It was really nice to be around so many young people at church, since I was used to being one of the few in a sea of graying/whiting older people. I enjoyed Sacrament Meeting, though it was definitely different from the Catholic Mass I was used to. No candles, no incense, no bells, no robes, etc. However, within the simplicity, I felt at peace, and it simply just felt right. I also greatly appreciated Sunday School. Catholic parishes generally don’t have religious education for adults outside of RCIA for those converting to Catholicism (though there are some parishes that do). It was great to have a formal, Church-organized effort to continue education of members from childhood to our elderly years. SO, you’ve been meeting with the missionaries, you’ve gone to church, you’ve committed to live the Law of Chastity and the Word of Wisdom (or at least begun the road to following these commandments), you’ve been reading the Book of Mormon and the Bible, and most importantly, you’ve been praying about everything to God. Guess what, the missionaries have also been praying for you, and about you! When the time is right, the missionaries will invite you to be baptized, and to set a date for your baptism. This date can change if necessary, however it’s always great to have a goal to look forward to. As you may know, the issue of “authority” is important. In the Bible, we see that Jesus Christ specifically went to John the Baptist, because he had the authority from God to baptize. We see Jesus Christ giving the New Testament apostles authority. Likewise, Mormons believe that, as the restoration of Christ’s original Church, only The Church of Jesus Christ of Latter-day Saints has the authority to perform ordinances such as baptism. So, although you may have been baptized in another church, you will have to be baptized by the authority of God. So, the missionaries ask you to be baptized, you agree, and you set a date (could be tomorrow, could be next week, next month, etc). Congratulations! Once you do this, various things will happen. The Bishop of the congregation will want to meet with you. 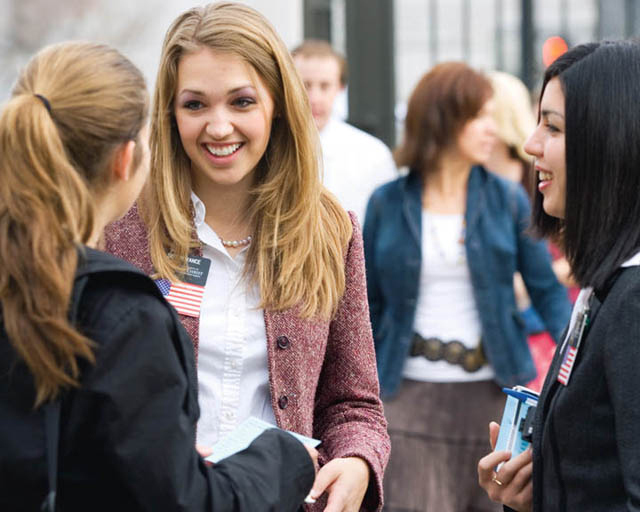 Another missionary (not one of the two you’ve been meeting with) will meet briefly with you to ask you a few questions to ensure that you are prepared for baptism (such as your belief in God the Father, Jesus Christ, and the Holy Ghost, the Restoration, the Laws of Chastity and Tithing, the Word of Wisdom, repenting of your sins, and whether you are ready to enter the covenant of baptism). 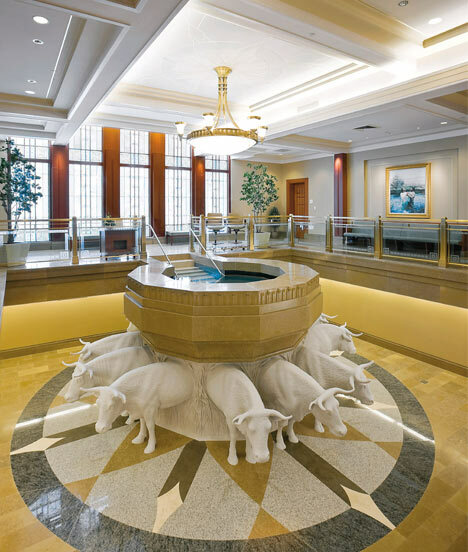 Your missionaries will show you the baptismal font in the church building, and go over how the baptism is done (i.e. where to put your hands, bend your knees, etc). Remember, Mormons baptize by full immersion, just like in the New Testament. You’ll also want to start thinking about the program for your baptism. Your missionaries will help you with this. You should select hymns that you like to be part of the program, as well as two speakers to give short talks on the topics of “baptism” and “confirmation-receiving the Holy Ghost”. If you’re not sure, the missionaries will be fine with guiding you on that. Also, you should think of who you want to baptize you (as well as confirm you)! The missionaries will gladly perform both ordinances. However, if you have a friend in the ward congregation that is at least a “priest” in the Aaronic Priesthood, and they are okay with it, they can gladly baptize you. For your Confirmation, the person must be at least an Elder in the Melchizedek Priesthood. Finally, think of who you would like to attend your baptism. You can invite friends, family, and members of the ward congregation. Or no one! Once this is all done, your missionaries will put together the program and organize everything, along with the Ward Mission Leader and Bishop. All you have to do is show up to your baptism (bring a towel just in case there aren’t any!)! My experience: As I mentioned, my missionaries invited me to be baptized at our very first meeting. I took a day to think and pray about it, and called them back the next day to say that yes, I would like to be baptized. After that, we finished the remaining missionary lessons, and I attended church. I met a few people from the ward that sat in on our meetings. I met with another missionary who went over the pre-baptism interview questions, which lasted about 5 minutes. I thought of hymns that I had heard the Mormon Tabernacle Choir sing before that I enjoyed, chose two, and also asked two of the guys that I had met to speak at my baptism. I also asked my two missionaries to perform the baptism and the confirmation. So the day is finally here! If you’re like me, you’re probably very nervous. The missionaries probably asked you to wear what you wear to church on Sundays, bring a towel, and the time to be there. You arrive at the church, and the service begins. Everyone will sing the hymns you chose, and talks will be given by the people you selected. Then, it’s baptism time. You will go into the changing room, and change into a white jumpsuit (yes, very attractive). The person baptizing you will also change into white clothing. You will step into the waters, and the baptizer will call you by your full name, and say “Having been commissioned of Jesus Christ, I baptize you in the name of the Father, and of the Son, and of the Holy Ghost. Amen.” He will then fully immerse you under the water, then bring you back up. Two witnesses will watch to make sure that you have been fully immersed. And with that, you’ve been baptized! After you dry off and change, congregation leaders will welcome you to the ward, the closing hymn will be sung, the closing prayer will be offered, and that ends your baptismal service. People will congratulate you on becoming a member of Christ’s Church, and usually there will be some refreshments after. My experience: My baptism experience was very interesting, to say the least. As a procrastinator, I have a habit of being late to events. That said, I was running late to my own baptism. The missionaries and the Ward Mission Leader called me to make sure I was still coming. Finally, I made it, and I was surprised at how many people were there to see me baptized. After I was baptized, I realized that I forgot to bring a towel! I looked around the changing room, and couldn’t find anything. Finally, I just sucked it up, put on my clothes, and walked out with a huge water spot on my pants. At least it was that much more memorable. After you’re baptized, you will also be confirmed. With Confirmation, you are not only confirmed a member of The Church of Jesus Christ of Latter-day Saints, but you also receive the gift of the Holy Ghost as a constant companion, as well as a priesthood blessing. Confirmation is usually done on Sunday, as part of Sacrament Meeting. Your missionaries will let you know when this will be. It’s usually the Sunday following your baptism. Near the beginning of Sacrament Meeting, the bishop will announce that you were recently baptized, and that you will now be confirmed. You will go up to the front of the chapel, and sit in a chair. The person you asked to confirm you, as well as various other men holding the Melchizedek Priesthood, will stand in a circle around you , and lay their hands on your head. You will then be called by your full name, and hear the words, “In the name of Jesus Christ, and by the authority of the holy Melchizedek Priesthood, I confirm you a member of The Church of Jesus Christ of Latter-day Saints and say unto you, ‘receive the Holy Ghost.'”. He will then give you a blessing as the Spirit guides him to. After it’s finished, you will shake the hands of everyone in the circle, and go back to your seat! Chances are you’ll feel very at peace as you receive the Holy Ghost as a constant companion in your life. And with that, you’re officially a member of The Church of Jesus Christ of Latter-day Saints. You’re officially a Mormon! My experience: Because my congregation wasn’t meeting the Sunday after my baptism (there was a Young Single Adult Regional Conference), I was confirmed in the traditional, or “family” ward congregation that meets in the same building. It was great to meet so many new people, many of whom came up to me to congratulate me and encourage me in my new life as a disciple of Christ. I felt very calm and at peace, and happy to hear that I was confirmed a member of the Church of Jesus Christ. 3) Pray about what you’re reading and studying, as well as for guidance on whether the things you are learning are true. Every so often, I receive questions as to why a Catholic should become a Latter-day Saint, or what resources would be helpful for a Catholic considering conversion to The Church of Jesus Christ of Latter-day Saints. As someone who considered his own conversion and testimony for quite some time recently, I hope this post will be helpful. First and foremost, it is important to understand that the claims of the LDS Church and the Catholic Church are at odds with each other. Both claim to be the “one true church” with the proper authority from God. They both can’t be right in that regard. The LDS Church claims that it is a restoration of the original Church established by Jesus Christ as we read in the New Testament. In this belief, Latter-day Saints find that certain doctrinal truths were lost over time, and have since been restored in the LDS Church, along with newly revealed and expanded on beliefs and practices. Further, Mormons believe that the priesthood authority of God has been restored, and is only found in the LDS Church. This brings me to an important issue: that of authority and sacraments/ordinances. Latter-day Saints believe that only the LDS Church has the authority from God to perform sacred ordinances, such as baptism, confirmation, ordination, eternal marriage, etc. In contrast, while the Catholic Church regards itself as being the one true Church, it still believes that valid baptisms can be performed outside of its formal confines, and certain churches, such as the Orthodox Church, can validly perform all of the sacraments, even though they are not in formal communion with the Catholic Church (regarded as being in schism). This concept never made sense to me. In Mormonism, the authority of God is only found and validly exercised within Christ’s Church, and only members of the priesthood of Christ’s Church, in communion with its prophets and apostles, can validly perform sacred ordinances. There are a number of doctrinal issues that separate Latter-day Saints from traditional Christians, and from Catholics specifically. While each topic could be a separate post, I’ll list some of the issues that I find relevant to Catholics considering Mormonism, as well as some books and resources that would be helpful as you investigate the Church of Jesus Christ. -Mormons believe that the true Church is led by apostles and prophets, just like the New Testament Church. The authority and calling of Apostles is present today. As we read in the Bible, the Church had twelve Apostles, and there were also Apostles outside of the Twelve. Similarly, The Church of Jesus Christ of Latter-day Saints has a Council or Quorum of Twelve Apostles, as well as a “First Presidency” composed of three Apostles. All are also regarded as prophets who receive revelation from God in directing the Church of Jesus Christ, just like the ancient Church. -Mormons believe that revelation continues to this day. In addition to the personal type of revelation that seems to be found in practically all Christian faiths, we also believe that the words of living prophets become like scripture to us, and we have an open canon of scripture. Our canonized scriptures can be added to when necessary, and the words of our inspired leaders in settings such as General Conference (a twice a year meeting of the worldwide Church) are studied in addition to the scriptures. -Catholics are used to not only praying directly to each member of the Trinity, but also praying to/through canonized saints and the Virgin Mary. In contrast, Latter-day Saints only pray to the Father, in the name of Jesus Christ. We readily accept the reality of Heavenly persons and angels interacting with people on earth, however we do not pray to/through them. -As mentioned, Latter-day Saints believe that only The Church of Jesus Christ of Latter-day Saints has the authority from God to perform necessary ordinances (what Catholics would term “sacraments”). Therefore, all converts to the LDS Church are baptized, whether or not they were baptized in another church. Baptism is performed by full immersion, as was done anciently. I’ve found it interesting tha t proselyte baptism has been performed in Judaism, and was always done by immersion. Further, Jews sometimes immerse themselves in a “mikveh” for purification. -Latter-day Saints also do not practice infant baptism. LDS follow the example of Jesus Christ and lay their hands on infants to bless them. LDS believe that infants and children prior to the age of 8 do not need baptism, and if they die, they go to Heaven. In contrast, Catholics do not know with certainty what happens to unbaptized infants, though they find sufficient reason to hope in the mercy of God (though some retain a belief in Limbo of Infants). I find the LDS belief very comforting, and based on revelation from God. -Like the early Christians and Jews, Latter-day Saints have two types of worship services. First, on Sundays, we go to our meetinghouses/chapels, where we pray, sing hymns, participate in the Lord’s Supper (we call this “the Sacrament”, and it is blessed bread and water), and listen to sermons or “talks” by members of the congregation. We also have Sunday School classes where we study the scriptures and doctrines of the Gospel, and other types of classes (women attend Relief Society, men attend various Priesthood meetings depending on their priesthood office). In addition, we also have temples, which are separate sacred structures, regarded as the literal House of the Lord. God’s presence is there in a special way, and we participate in various sacred ordinances there. Like the Biblical temple, access is limited. One must be living the commandments of Christ, and receive a “recommend card” from their Church leaders to present upon entry. Because Latter-day Saint s believe that certain ordinances are necessary for eternal life (for example, the Bible repeatedly says that baptism is necessary, and gives no exceptions, such as “baptism of desire” or “baptism of blood”, as Catholics believe). Therefore, God has provided a way for these ordinances to be performed for our ancestors that did not have the opportunity to receive them in life (it is believed that once performed, such “proxy ordinances” present them with the opportunity to accept or reject them in the spirit world). LDS therefore perform ordinances such as “baptism for the dead”, which was also performed anciently (1 Corinthians 15:29-“Else what shall they do which are baptized for the dead, if the dead rise not at all? why are they then baptized for the dead?”). In the temple, eternal marriages, called sealings, are also performed. In this sacred ordinance, the couple kneels at an altar, holds hands, and is married for time and all eternity. Behind them are mirrors that reflect each other into eternity, symbolizing the union. Another ritual is known as the “Endowment”. This temple rite involves many ancient temple practices, such as washing, anointing with oil, receiving a new name, clothing in a sacred garment, ceremonial robes, a presentation on the Creation, the making of covenants with God, prayer, and passing through a veil into the presence of God. I t is very beautiful, highly symbolic, and unique to the Latter-day Saint faith (though again, there are many ancient confirmations for the ritual). Going to the temple for one’s own Endowment is a great, spiritual day. In the temple, all “patrons” wear white clothing. Temple worship is very important to Mormons, and is something many converts look forward to participating in. The temple is literally my favorite part about being LDS, and what drew me back after a short period of inactivity. The feeling of the Spirit present in the temple is unlike anything else. Being in the House of the Lord is something that confirms to many of us the reality of God and His Gospel. Although I could go on and on, I think it would be helpful to provide some resources for Catholics looking into Mormonism. For me, these resources have been extremely helpful, not only when I considered leaving Catholicism, but also helpful in further confirming to me the reality of the Restoration, that Joseph Smith and/or his associates didn’t make it all up, and that The Church of Jesus Christ of Latter-day Saints really is the Lord’s Church, with truly restored ancient beliefs and practices. As much as I love Catholicism, even miss aspects of it, I know that this Church has the authority from God to perform sacred ordinances, and has the fulness of the Gospel of Jesus Christ, and that I have never felt as happy and as at peace as I have with the restored Gospel in my life. Why Would Anyone Join the Mormon Church? Naturally these are a lot of books. If I had to choose one or two for you to read, I would suggest “Catholic Roots, Mormon Harvest”, and “Why Would Anyone Join the Mormon Church?” to begin with, as they are easier to read and are targeted to the typical reader. If you’re interested more in patristics, Early Church Fathers, ancient evidences for LDS beliefs, etc, I’d highly recommend “Restoring the Ancient Church”, “Mormonism and Early Christianity”, and “The World and the Prophets”. If anything, you must read Restoring the Ancient Church. First and foremost, please check out Mormon.org to get a basic understanding of what Latter-day Saints believe and do. You can also find a link to chat with missionaries online, and frequently asked questions. This is probably what you should do before reading any books, articles, etc. You can request a free copy of the Book of Mormon here. Note that the missionaries will contact you to see if you’re okay with them hand delivering it to you, and sharing a message. I believe they can also just have it mailed to you if you don’t want that. I remember way back in 10th grade, when I was curious about the Church, requesting a Book of Mormon, and the missionaries called! Naturally my mother who answered the phone said we don’t need the missionaries over, and they just mailed it. If you feel like you’d like to meet with the missionaries, use the request form here. This is how I ended up meeting with the missionaries. You can contact them if you’d just like to chat about Mormonism, or if you know that you’re ready to become a member of Christ’s Church. It may take a few days for them to get back to you, so don’t worry like I did. Also, if you aren’t comfortable meeting with them in your home, they can meet you anywhere, such as a local cafe, park, or the local LDS church building. I met with the missionaries at the church building. If you’d like to read more about the basic beliefs of the LDS faith, you can read the Gospel Principles manual online here. In a later post, I’ll share what it’s like actually converting! Also, check out this recent devotional talk by an LDS leader, Elder Tad Callister, called the Blueprint of Christ’s Church. In it, you’ll see that the LDS Church is Biblical, and matches the blueprint of the Church Christ Himself designed. It is things like this which caused me to get out of my comfort zone in Catholicism, and come to the fulness of the Gospel found in the LDS Church. View The Blueprint of Christ’s Church here. Latter-day Saint Temple Ordinances as a Restoration? One of the topics that has always been of interest to me is that of ordinances and sacraments. Religions have always endeavored to give man a means by which they can interact with God, and be given divine strength and assistance. I remember visiting a Hindu temple in high school with a friend, and was amazed by the devotion exhibited by the devotees there. They not only viewed their temple as a sacred space, but as a place where the gods actually dwell, and where the people can interact with them, be seen by them (darshan), and be given various blessings through the worship offered therein. Similar beliefs can be found in practically all religions, including Christianity. LDS temples are regarded similarly. Temples are dedicated as Houses of the Lord, where the Spirit dwells in a special way, and where visitors can participate in sacred ordinances where they can enter into covenants, receive blessings from God, receive revelations, etc. Many Latter-day Saint scholars, such as Hugh Nibley, have characterized the LDS temple as a true restoration of ancient concepts that simply weren’t found in Joseph Smith’s surrounding culture. Chief among these is viewing the temple as a place of celestial ascent, where man progresses in a journey towards entering into the eternal presence of God, a motif clearly found in the ordinance of the Endowment. 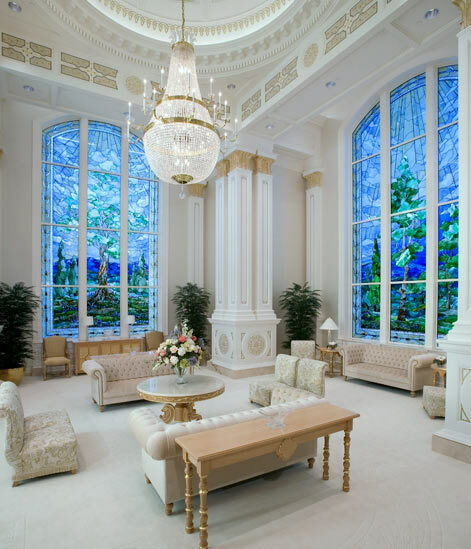 While the Endowment may confuse many first-time temple worshippers, it is important to realize that the Endowment, while including various covenants, is also clearly symbolic of the journey of all mankind, where we began in the presence of God, came to this earth, sin, are saved through the atonement of Christ, and pass through the veil separating this world and the eternal world into God’s eternal presence. Focusing specifically on the Endowment, this ordinance is clearly unique in the modern Judeo-Christian landscape. While other churches perform baptism, confirmation, priesthood ordination, blessings, anointing of the sick, weddings (ignoring the eternal marriage concept), communion, and forgiveness of sins (while LDS do not practice regular confession to a priest, LDS do confess major sins to their bishop if necessary), the Endowment is uniquely LDS. While LDS don’t talk about the specifics of the Endowment ordinance, making covenants not to reveal certain aspects of it (which places it firmly in the esoteric traditions of early Christianity), we can talk about various aspects of it. Many critics talk about the relationship of Freemasonry with the Endowment ordinance. It is clear, both to critics and to believers, that certain specific aspects of the Endowment ordinance find clear parallels or instances in Freemasonry. It is also clear that Joseph Smith and many of the early Latter-day Saints were Freemasons, and Joseph was a Master Mason prior to his introduction of the Endowment. Various Latter-day Saints have expressed the view that Masonry represents a “corruption” of ancient rites that were practiced by Jews and Christians, and that Joseph Smith restored the pristine rites. Others say that Joseph used various cultural elements, including Freemasonry, to express revealed ideas and concepts. Critics of course claim that Joseph just stole it from Freemasonry. Whatever the case may be, it is clear that Freemasonry influenced the development of the Endowment ordinance, especially in its earliest iterations. However one part of the Endowment, or what may be viewed as a prelude to the Endowment proper, that has seemingly escaped critic comment, is the Initiatory, or the Washing and Anointing. In this ordinance, LDS are symbolically washed with water and anointed with oil (“symbolically” here means that, while water and oil are certainly used, they are not applied all over the body), and various blessings for now and the afterlife are pronounced, after which the patron receives a New Name and is authorized to wear the white garments. This is a very beautiful ordinance, and one that seems to be ignored by most temple patrons when they revisit the temple to perform ordinances for the deceased (one of the counselors in the Manhattan New York Temple Presidency said as much recently, and others have said this as well). Interestingly, this ordinance finds some striking parallels in the ancient Christian world, parallels that many LDS apologists believe point to a divine origin for the Initiatory. I do wonder if there have been any critic arguments as to the origin of this ordinance, since I don’t believe it finds parallels in Freemasonry or any religious rituals found during Joseph Smith’s time or surrounding environment (I don’t believe he was familiar with Catholic and/or Eastern Orthodox sacraments involving anointing). “You were true imitators of Adam, the first man to be created, who was naked in the Garden and was not ashamed. He was anointed with … what is called the olive oil of exaltation (agalliaseos elaio—a coronation figure) … while you were anointed with myrrh (scented oil), making you companions and copartners (koinonoi kai metochoi) with Christ. You were anointed on your brow and your other sense-organs, and so while the body is anointed in outward appearance with myrrh, the soul (psyche) is sanctified by the life-bestowing Holy Spirit. The blog Washings and Anointings also has more information connecting the LDS Initiatory to ancient rites. It is clear that the theme of being washed, anointed with oil, and receiving a white garment, is a theme found throughout Judeo-Christian history and scriptures. So, the question then becomes, did Joseph Smith and his associates make this all up, or were they divinely inspired to restore pristine rituals, rituals that we find echoes of anciently and even today in the practices of Catholicism and Orthodoxy? Nibley’s The Message of the Joseph Smith Papyri-An Egyptian Endowment (just got this book today, looks amazing, and comes highly recommended. LDS believe that the Gospel was revealed to Adam, and has been present on the earth throughout various dispensations. Various cultures have had “types” of the Gospel, hence why we find many similarities between Judeo-Christian mythos and those of other cultures, including the ancient Egyptians, which makes sense due to their ties to Israelite history as seen in the Old Testament. Nibley finds striking parallels between the LDS temple ordinances and rites performed by the ancient Egyptians. He also has an extensive appendix that cites various ancient Christian writings and theologians, including the aforementioned Cyril of Jerusalem, in support of LDS rituals having ancient origins, and that Joseph Smith and his associates couldn’t have just made it all up or stolen it from things in their surrounding cultures. Well it looks like it’s been awhile since I posted here! Many things have changed since my last post, though that will be addressed in subsequent posts. A friend of mine recently asked me about my thoughts on the LDS belief in Heavenly Mother. She then found an article by David L. Paulsen and Martin Pulido, entitled “A Mother in There”-A Survey of Historical Teachings about Mother in Heaven. I just finished reading the article, and below are my overall thoughts about this seldom-discussed topic. The Latter-day Saint belief in Heavenly Mother is certainly unique within the broad spectrum of Christian beliefs. To me, it seems to be a very logical and natural extension of various other unique LDS beliefs, such as God the Father being an exalted man, humanity being created in the literal, physical image of God, eternal marriage, and the future exaltation of God’s children. Traditional Christians generally reject all of those premises. Instead, they believe that God the Father is not actually male/gendered, since He transcends time and space, and existed prior to creation (and therefore prior to matter, which He created. in contrast, LDS believe that matter is co-eternal with God). While they do believe that God the Son is male, this is only due to His Incarnation and Bodily Resurrection to Heaven. While traditional Christians do not accept a belief in a divine Mother in Heaven, after reading Paulsen’s article, I couldn’t help but think about the Catholic and Orthodox beliefs and practices surrounding the Virgin Mary (who is frequently referred to as Mother, the Virgin Mother, Blessed Mother, and various other titles). So how do Latter-day Saints view Heavenly Mother today? Quite frankly, she is rarely, if ever, mentioned. In my 2 years as a member of the Church, I don’t believe I’ve ever heard her (Her?) mentioned in a Church setting (i.e. Sacrament Meeting, Sunday School, Elders Quorum, firesides, etc), except for one passing reference I remember, when the missionaries were talking about how they ran into someone in a park that was interested in Mormonism because of the belief in Heavenly Mother, and that he also believed in a Heavenly Mother. She certainly wasn’t mentioned when I took the missionary discussions. Why is that? I think that much of it stems from a mistaken notion that LDS should never talk about Heavenly Mother, because she is too sacred to talk about, and God wants to protect her name from being desecrated, so we just should not mention her at all (an idea that Paulsen discredits in his article, showing that various Church authorities have talked about her throughout the history of the Church). I also think that much of it stems from the simple fact that not much has been revealed about her, save for the fact that she exists, is eternally married to Heavenly Father and that she, along with Heavenly Father, is a Heavenly Parent. Now, Paulsen may disagree with that statement, as he divides his article into a few areas that describe the roles of Heavenly Mother (Heavenly Wife and Parent, A Divine Person, Co-creator with the Father, Coframer of the Plan of Salvation, Involved Parent in Our Mortality, Mother in Heaven in the Hereafter). However, it is clear that she is not mentioned in any of the Standard Works (the Bible, Book of Mormon, Doctrine and Covenants, Pearl of Great Price), and only vague references are made to her in official statements, such as The Family: A Proclamation to the World, which refers to “heavenly parents” (which is generally how she is referenced in more recent times), or the 1909 First Presidency statement, “The Origin of Man“, which refers to “heavenly parents” and “universal Father and Mother”. While Paulsen may cite various statements by Church authorities at various times, these are not regarded in the same sense as official statements or doctrines contained in the Standard Works. It is clear that while Latter-day Saints may accept that Heavenly Mother exists, is our spiritual Mother, and is the Divine spouse of the Father (and therefore, a Deity, a God(dess)), we are not to pray to her. Prayers are only to be directed to the Father, in the name of the Son. I find this interesting to compare to the Catholic/Orthodox practices on Mary, where, while she is certainly not accepted as Divine, at least in the sense that she is not God, though she may partake of the divine nature, and is outside of time and space due to their belief that Heaven and God are beyond time and space, prayers are directed to/through her, asking for her intercession in various matters, and she is reverenced in many ways. Catholics/Orthodox tend to view her role as a Queen Mother, as she is the mother of Christ the King. It was interesting to read about President Harold B. Lee referencing a story by William Dudley Pelley, who said that he took out a pack of cigarettes, was about to light one, then he “heard a voice as gently as any worried mother might caution a careless son, ‘Oh Bill, give up your cigarettes!'”. I think that it is certainly acceptable to believe that Heavenly Mother plays a role in our lives today, although such stories really are in the realm of personal revelation, and certainly don’t have to be extrapolated to or accepted by all Latter-day Saints. I also found interesting the idea that Heavenly Mother played a role in the Creation, and that Elder Holland has taught that “our Mother and our Father are involved in the ongoing process of creating everything around us…”. Paulsen also says that “some authorities have described Heavenly Mother was an active participant in the process of creation.”. Again, I’m not sure how much we can accept such statements, since we do have accounts of the creation given in the Bible, the Book of Moses, the Book of Abraham, and the temple endowment. One statement however was given by Brigham Young in an 1876 General Conference address, where he said that “eternal mothers” and “eternal daughters are “beings after the resurrection who will ‘be prepared to frame earth[s] like unto ours and to people them in the same manner as we have been brought forth by our [heavenly] parents”. Since LDS view General Conference addresses as inspired messages, where the prophets and apostles, and other authorities give the words of God in our days, I think that that statement would have to be held up higher than others given in non-official settings. Finally, I think that it is important in LDS theology to view Heavenly Mother (and Heavenly Father) as an example. LDS believe in exaltation, or that through the Gospel, we can become like God. President Lorenzo Snow is often quoted as saying that “As man is, God once was. As God is, man may be”. Various LDS apostles and prophets have taught the principle of eternal progression, and that this applies to God (and Heavenly Mother). Admittedly, I do have difficulty with the notion that the Father was once a man on an earth somewhere else, and that He progressed to Godhood (in contrast to traditional Christianity’s belief that God has always been God), and is now an exalted man (a belief that seems to have began with Joseph Smith’s King Follett Discourse). On the other hand, such a belief does provide an example for humanity to follow, and to realize that through the Gospel, we can become like our heavenly parents, just like they did. So where does that leave us? Well, I think it’s safe to say that throughout the history of The Church of Jesus Christ of Latter-day Saints, there has been an accepted belief in a divine Mother in Heaven, the wife of God the Father, and that they together created us as spirit children, then created us in their image on this earth. Outside of that, nothing has really been officially revealed on her nature and role. On the other hand, various authorities have stated experiences that they have had in their lives, feeling her influence, and making statements (perhaps inspired, at least for their own personal edification) about her role in our lives in the pre-mortal existence, and what it would be like to return to her presence (and that of the Father) in the next life, as well as her knowledge of the Plan of Salvation, and her desire for her children to progress, to ultimately become like her and her spouse, Heavenly Father. 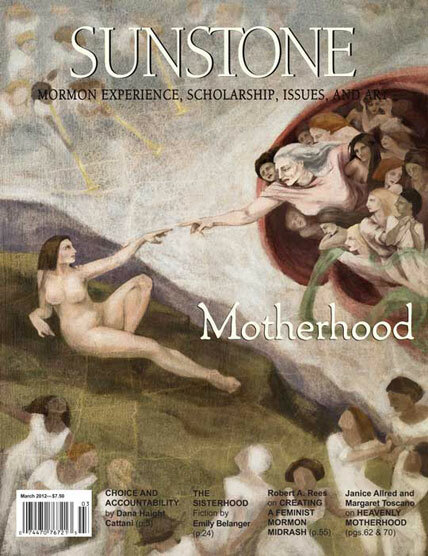 Motherhood therefore becomes a divine role, originating before Creation, along with fatherhood. Hey everyone, haven’t posted in awhile. I’m currently working on a post going over some of the reasons why a very activ e, faithful, catechized Catholic would leave the Catholic Church for The Church of Jesus Christ of Latter-day Saints. I think it’s really important to write this as a very common misconception held by Catholics is that people that leave the Catholic Church didn’t really understand the beliefs, weren’t well catechized (taught/formed in the beliefs), and/or want to sin. I’ve also found this view held be members of various other “one true churches” in relation to those that leave that church, however I will only comment on my specific experience as a former Catholic. In the mean ti me, I’m also considering volunteering as a temple ordinance worker! Latter-day Saints (or “Mormons”) have two major worship spaces. The “meetinghouses” are where Sunday worship services, Sunday school, weekly classes and social events, etc. are held. Latter-day Saints also have “temples”, which are very sacred spaces regarded as the literal “House of the Lord”, where His Spirit dwells, where we can feel His presence in a special way, and where we can participate in various sacred ordinances. I was recently endowed in February, and since then, I’ve thought about volunteering as a temple ordinance worker. An ordinance worker is essential a minister in the temple. They administer some of the ordinances in the temple, and help to make sure the temple is operating smoothly. I think that it would be pretty awesome to be able to serve in the House of the Lord in this capacity, and I think that I would be able to learn even more about the very symbolic temple rites from that angle. I love being in the te mple (we’re having a ward temple trip on Thursday evening to perform baptisms for the dead, can’t wait for that), being in the presence of God. 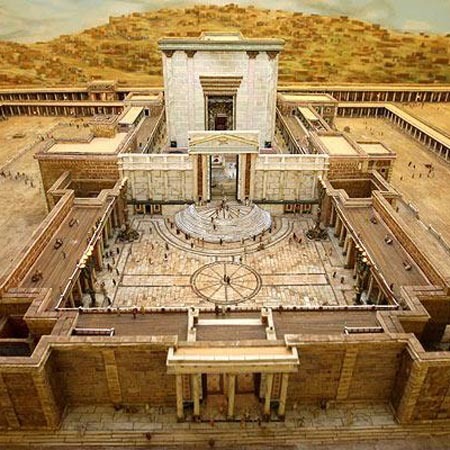 I also love reading about the ancient Jewish tabernacle and temple(s), and the ordinances that took place there, as well as the ancient Christian mysteries and their relationship to the temple. Reading about all of these areas further testify to me of the restoration of the fullness of the Gospel of Jesus Christ, as well as the restoration of various temple rites in the Lord’s Church. I am particularly fascinated by washing and anointing rites, especially what I find on this blog. Anyway, just thought I’d share that I’m considering volunteering as a temple worker! Baptism For the Dead Again! Well folks, it seems as if the practice of baptism for the dead is in the news again. While I won’t get into the actual recent events that have occurred (since they have been all over the news, and the Church itself has responded to this controversy adequately) I would like to, once again, discuss what members of The Church of Jesus Christ of Latter-day Saints (aka the “Mormon Church”) believe about baptism for the dead, since the vast majority of comments I’ve read on these news articles demonstrate an erroneous understanding of our practice. Latter-day Saints, like many other Christians, believe that baptism is an essential ordinance, or sacrament, for our salvation. Mormons believe that the Bible teaches that to be saved, we must follow the example of Jesus Christ and be baptized. Baptism is seen as our entry into the kingdom of God, marking our entrance into His Church, and where we take upon ourselves the name of Jesus Christ. Mormons believe that when Christ was on the earth, He established His Church. Mormons believe that our Church, The Church of Jesus Christ of Latter-day Saints, is a restoration of that original Church. With that belief in the restoration of the original Church and the fulness of the Gospel, or Good News, of Jesus Christ, we believe that the priesthood of Christ is on the earth again, and is only to be found in the Church of Jesus Christ. 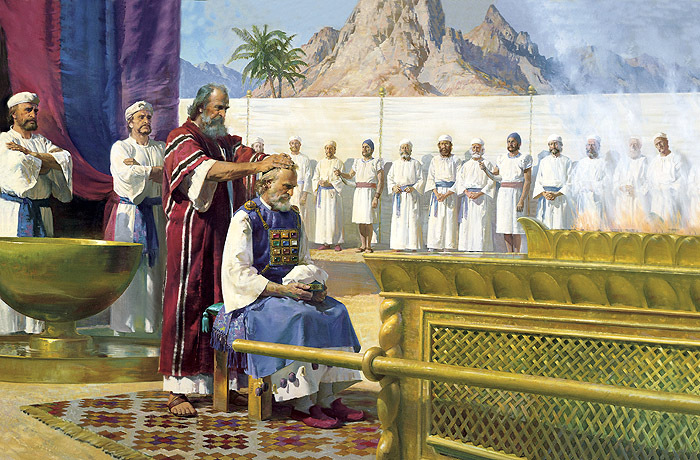 Authority in priesthood rites is seen throughout the Bible, including where Jesus Christ specifically sought out John the Baptist to be baptized. When someone desires to join The Church of Jesus Christ of Latter-day Saints, after demonstrating faith in Christ and repenting of their sins, that individual is baptized by immersion in the name of the Father, the Son, and the Holy Ghost. Many individuals, such as myself, may have already been baptized in another faith tradition. Since Mormons believe that priesthood authority is needed to perform sacred ordinances such as baptism, and that this authority is only found in the true, restored Church of Jesus Christ, all people are baptized to enter the Church. A dilemma that all Christian communities have to deal with is, what happens to the billions of people throughout human history that never had the chance to hear about and have faith in our Savior Jesus Christ, nor the opportunity to be baptized? If baptism is necessary for salvation, as the Bible teaches, then are these people lost? Some Christians hope in the mercy of God for those souls, though they cannot say definitively what happens to them. Others say that these souls are lost. Mormons on the other hand reject these positions, and instead believe that God has established a way whereby the deceased can have an opportunity to accept Christ, and accept baptism and other sacred, saving ordinances. Mormons practice these “proxy ordinances” in sacred buildings known as temples. Temples are regarded as literal houses of the Lord, where God’s presence can be felt in a special way, and where we can perform various sacred rites. Baptism for the dead is one such rite. Mormons find scriptural support for the practice in 1 Corinthians 15:29-“Else what shall they do which are baptized for the dead, if the dead rise not at all? why are they then baptized for the dead?”. Mormons believe that through baptism for the dead, the deceased have the opportunity to accept OR reject the effects of baptism, thereby having the same opportunity in the next life that some had in this life to accept Jesus Christ and be baptized by His priesthood authority. I cannot emphasize “accept OR reject” enough, since it is this portion of the practice that is lost on 90% of the critical comments I have recently read. Mormons do not believe that baptism for the dead forces someone to become a Mormon. It does not add that person to the “rolls” of the Church. Instead, Latter-day Saints firmly believe that free-will, whether in this life or the next, is important, and is a necessary requirement for sacred ordinances. We do not practice infant baptism, since we believe that someone must choose for themselves to accept Christ and accept His baptism. Likewise, baptism for the dead is believed to present the deceased soul with the opportunity to accept or reject that ordinance. Mormons do not believe that baptism for the dead obscures the historical record, or that people looking at history will mistakenly believe that the individual was a Latter-day Saint in this life. Records of proxy ordinances clearly indicate that the ordinance was performed after the death of the individual, and was a proxy ordinance. Also, any interested enough in our rituals would then know the point made above, that the ordinance doesn’t “make someone a Mormon” either. Mormons are sincere in their practice of baptism for the dead. We believe that we are helping our brothers and sisters by offering them blessings that we believe lead to eternal life with our Father in Heaven, Jesus Christ, the Holy Ghost, and our families. While we never force someone to believe what we do, and as already emphasized, we do not believe that proxy ordinances force someone into something that they would not want, we do believe that we are offering them the opportunity to accept something that we believe is true and good. So what actually happens during a baptism for the dead ritual? As already mentioned, these ordinances only occur in our temples. They do not occur in our meetinghouses, where we meet for Sunday worship and other activities (individuals that join the Church of Jesus Christ in this life are usually baptized in the meetinghouse or in some suitable body of water, and not in the temple). In temples there is a baptismal font like the ones in the pictures of this post. All patrons of the temple change out of “street clothing” and into all white clothing. The individual then steps into the baptismal font, and is baptized on behalf of a deceased person, sometimes a direct ancestor. The ritual is pretty much the same as a “living” baptism, except the formula, or words spoken, includes the name of the deceased individual. Mormons believe that through the power of the priesthood of Christ, what is done on earth can be sealed in Heaven, and therefore temple rites can have an effect in the afterlife. It is through this rite that Latter-day Saints believe the deceased have the opportunity to accept or reject the fullness of the Gospel of Jesus Christ if they did not have the opportunity to do so in this life. As for my own personal thoughts and experiences, I have participated in baptisms for the dead a number of times since my baptism into the Lord’s Church one year ago. It has been a very spiritual experience for me, as I believe I have participated in the work of our Savior Jesus Christ in bringing others unto Him, and that this can be done in this life and the next. The belief in proxy ordinances for me allows for all the have the opportunity to hear the good news of Jesus Christ, and to be able to choose for themselves whether they will accept Him and His Gospel. No longer do we have to hope in the unknown, or believe that most will be damned. Instead, all will have the opportunity to use their free will to come to Christ, if they so desire. This doctrine is one of the many beliefs that remains an attractive, Biblical (1 Corinthians 15:29) aspect of the restored Gospel that is only to be found in the Church of Jesus Christ of Latter-day Saints. If Jesus is indeed the Christ, is indeed our Savior, that it is necessary to have faith in Him to be saved, and that baptism really is necessary for salvation, baptism for the dead becomes the great equalizer in the grand scheme of human existence. I am truly grateful for the restoration of this practice. Well, it’s been a while since I last posted here! I guess I was just *a little* busy with school, work, church activities, and trying to have a social life. Well the semester is over, and instead of hanging out with friends tonight like I should be, I’m coughing up my lungs and blowing my nose off, so I decided now would be a good time to post (after I wrote a letter to my missionaries updating them on my life, and watched my Georgetown Hoyas ballers beat Memphis)! So, what has happened since I last posted? Well, I was set apart as a ward missionary, and I’ve been enjoying that calling. As a ward missionary, I have the opportunity to sit in on lessons with the full-time missionaries and investigators, as well as teaching the Gospel Essentials class during Sunday School. I really enjoy doing both, as what I love to do is talk about the restored Gospel of Jesus Christ. I couldn’t imagine receiving a calling that didn’t involve some aspect of preaching the Gospel. Teaching reminds me of the old days when I taught catechism classes to young students in my Catholic parish. Besides that, I was ordained an elder in the Melchizedek Priesthood in November. What a great experience. I remember as a Catholic, I would sometimes think about the priesthood, but also wanted to be married. I would think about becoming a permanent deacon, but this of course isn’t the same thing as being a priest. How grateful I am of the restoration of the Gospel and the Lord’s Church, where I can hold the priesthood today, following the Biblical pattern of being called of God by one in authority, and receiving the priesthood through the laying on of hands. I did not need years of study in seminary, earning a graduate degree, etc (as great as those things may be). At the moment, I am beginning to prepare to receive my endowment in the Lord’s House, the temple. Like a good nerd, I’ve already bought a few books on temples and the endowment, and have a list of important scriptures relevant to the endowment. Now, as a former critic of The Church of Jesus Christ of Latter-day Saints, I am perhaps a little more familiar with the actual endowment ceremony than the typical Latter-day Saint. After studying the endowment and the restored temple concept, I am really amazed at how much of the theology and concepts surrounding the endowment are found in the Bible, as well as in ancient Judeo-Christian practices. The article “Early Christian and Jewish Rituals Related to Temple Practices” is only just a brief summary of the wealth of scholarship available in this area, and the fact that such research can be done only strengthens my testimony of The Church of Jesus Christ of Latter-day Saints being the legitimate restoration of Christ’s ancient, biblical Church, and not a 19th century fabrication. I look forward to the day, in the coming months, when I can enter the house of the Lord, the temple, and enter into sacred covenants with God, made possible through the atoning sacrifice of our divine Savior, Jesus Christ. Having already gone to the temple to perform proxy baptisms for our ancestors (offering those who did not have the opportunity to receive the Gospel in this life to do so in the next), I have already felt God’s Spirit there (the presence of God being an important reality of the temple, as seen in the Bible), and know that it is His house.